Father's Day is coming up in just a few weeks and if the dad in your family is anything like mine you are probably stumped on what to get him. Odds are, he doesn't need another tie or golf-themed coffee cup. Here are a few fun ideas of gifts that Dad will actually get excited about...including a groundbreaking offer that is the first of its kind! 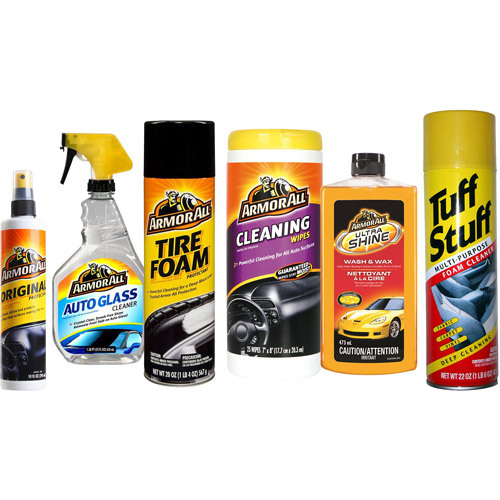 Help Dad pamper his car with a car care gift set like an ArmorAll gift pack. If you live in a place where there isn't space to wash the car an excellent alternative is a gift card to a local car wash. We did this for my husband last year and he loved it! On the subject of gift certificates, why not give Dad the weekend off by hiring someone else to mow the lawn? A quick Internet or Yellow Pages search will help you find a local yard work or landscaping company, or you could hire a neighborhood kid (or your own) to take care of the lawn as well. So what should Dad do on his day off? How about go see Warner Bros. Man of Steel BEFORE it debuts nationwide? Right now you can head to any Walmart and purchase tickets to Man of Steel in the Electronics Department. With the purchase of your ticket you also receive an exclusive digital comic book written by the author of Man of Steel, David S. Goyer. You will also have the exclusive opportunity to pre-order an HD digital download or Blu Ray copy of the film. This would be a perfect gift for my family. Odds are I am going to be at Walmart for something anyway, so it is a super-convenient way to take care of Father's Day at the same time. My husband would be so excited to receive this gift because a break from the real world to sit in a nice, air-conditioned theater is always a welcomed activity, especially during the summer. As you can see, we are fans of super heroes around here. Too bad it is Walmart. I refuse to support that company in any way. Nice idea though. Some of you may have found this great deal to be sold out at some Walmart locations, but there are still many that have it available. Good luck!